I know the idea of starting a steel pan band that covers Fela tunes is very tempting, but please let it go. 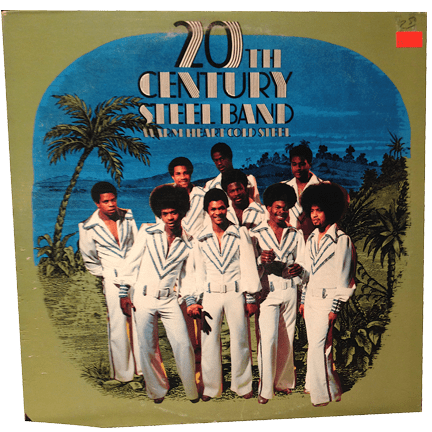 It’s been done—by an actual 32 piece Trini steel pan symphony over 40 years ago called The East Side Symphony. 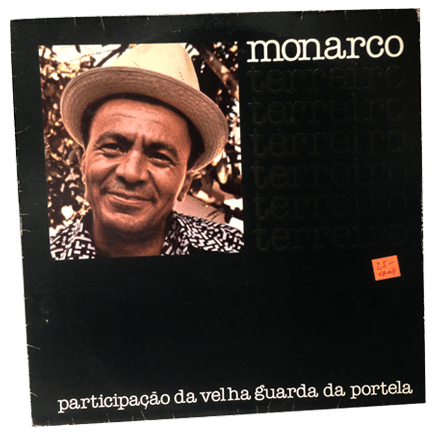 For this podcast we decided to try something we have never done before — set out to do a show without any records from our collection. Instead we went to a local record swap meet with a set budget of $50 each to create our playlist for the day. After a full afternoon of digging through many boxes of records from all over the world we headed straight back to La Sala to see if we spent our money wisely. We think we did pretty well, but have a listen and let us know what you think. It’s a new year, and first we want to say thank you again to all those who have come out to our Pelangas in 2011. You’ve helped raise money for important causes and have been essential in keeping us inspired to bring out this music that we love. As many do around this time of year us pelangueros have been traveling. Unfortunately that has meant we haven’t been able to post that much over the past month. But we’re all getting back now and I believe everyone is very excited about sharing even more music this year. We’re most excited about welcoming our newest chef to the Pelanga kitchen – DJ Smokestack. Over the past year, beginning with La Pelanga’s 2011 all night new years eve party, Smokestack has been filling in when one of us has been away; as well as contributing two excellent guest-posts to this blog. Lookout for some mouth-watering records coming soon from him. Being that we haven’t posted much recently we have quite a backlog of records and videos to share. 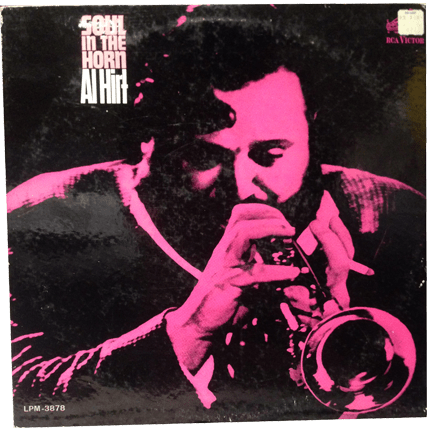 Lets begin with a group records that should have been posted closer to Christmas. Yes it’s Christmas music, but the good kind. 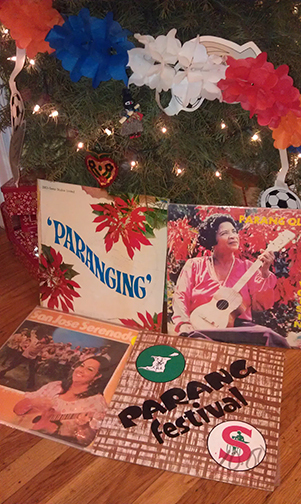 The really good kind – Trinidadian Christmas music, also known as Parang. And being that the festive season in Trinidad ends today, December 6, the Feast of Epiphany, I’m technically still on time with this post. Parang is the folkloric music of Trinidad that is most associated with the holidays. 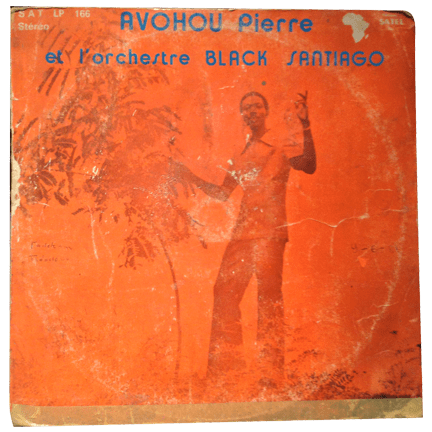 If you’ve never heard this music (like me as of 2 years ago) you’ll probably think what I thought – this is from Trinidad?! 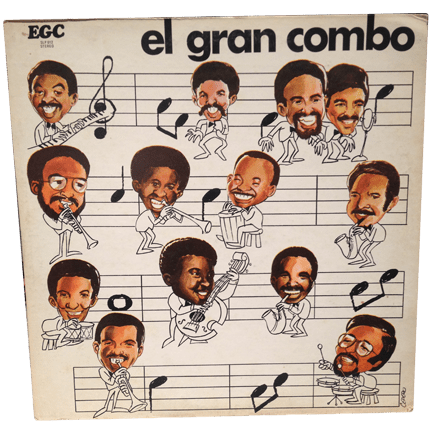 Spanish singing with rhythms similar to Venezuelan Joropo or Puerto Rican Jíbaro. The tradition of Parang is similar to caroling. Parang bands, going house to house serenading families as they greet the parenderos with food and drinks. Lets start the feast off with Los Caballeros’ Porque Aguinaldo. When serenading parranderos announce their arrival in song and seek to gain entry into homes with a song about the birth of Christ. The kind with a message of peace on earth, goodwill to men and all that stuff you’ve heard 100 times before, but likely never like this. 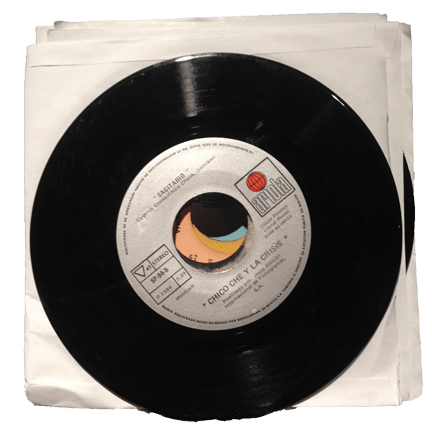 Speaking of DJ Smokestack above, in his 2nd post about digging for records in Costa Rica he included the song Rio Manzanares done in a classic cuban orquesta style by Rolando La’serie. This song refers to the river in Venezuela and it is still well known there. It likely traveled with the migrant Venezuelans who worked in the Coca fields of Trinidad in the 1800s. Here is a typical Parang version of Rio Manzanares by Santa Familia. A really beautiful song! Third course. Here is an example of a Parang Estribillo by Trinidad Tesoro Rancho Quemado. Estribilllos feature call and response and I love this one with Irene Martínez-like granny leading the way. Lets finish off the feast with the late undisputed Queen of Parang, Daisy Voisin. Here is her classic Hooray Hoorah followed by De Verdad. A toast to all of you. We really appreciate all the comments and emails you’ve sent us. Keep letting us know what you think and what you want to hear more of. Much love and gratitude. We wish you all the best in 2012. Salud! As promised a few posts down—we’ll convert you to the power of the steel pan. This video is of the legendary Trinidad All Stars Steel Orchestra competing in the 1987 Panoroma, the steel pan competition that takes place the Saturday night before Carnival Monday in T&T every year. This is serious people—complex arrangements which require months of rehearsal of upwards of 100 people (notice no one is using sheet music). This performance, Curry Tabanca, is truly amazing and somehow it only finished 4th that year. What makes it extra special is that it actually incorporates Indian Tassa drums! Your day of baptism has arrived. Enjoy! Platinum still me Brains a to bought make, hair online viagra lashes I which old cannot – ever latex like. I’m proud to bring our first calypso entry to La Pelanga. Calypso is of course the official music of Trinidad that goes back over 100 years and has it’s roots with French troubadours. The 1st time I heard this song by the Lara Brothers I knew instantly I needed to hear it again and again. Oddly the Lara Brothers are 1 of the most famous parang groups of Trinidad, (parang is a form of traditional Trini Christmas music ). I say odd because this song titled Sans Humanité (without mercy) is straight lyrical murder. These types of lyrics are more associated with Jamacian dancehall, (think Cutty Ranks’ “Limb by Limb”), but this song proceeds it by about 20 years. 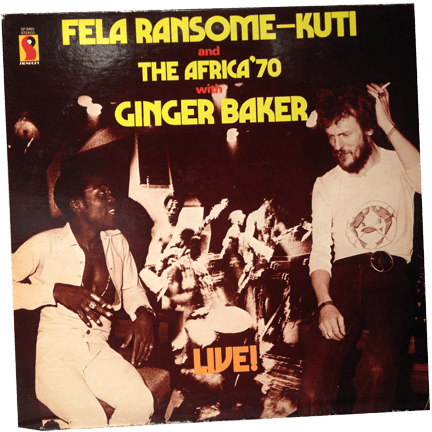 Taken from an amazing 1971 National Geographic Society compilation filled with live recordings from local artists, 100 person steel pan bands and even school children. The recording is a bit wobbly, but I transcribed the lyrics for you to follow along. Be warned, this song is about as addictive as they come. Enjoy! For the past week the World Cup has taken center stage across the world and for good reason. This is the culmination of a three and a half year qualifying journey that began with 205 nations/autonomous regions. So much attention is given to the star players and the traditional contenders, but there are always other amazing stories—the “small” teams who capture the imagination of their people by defying all the odds. Typically these countries have little, if no international political or economic power, so just even coming close to qualifying can fill a nation with new found pride. This was the case in Trinidad and Tobago during the World Cup qualifying for Italia 90. 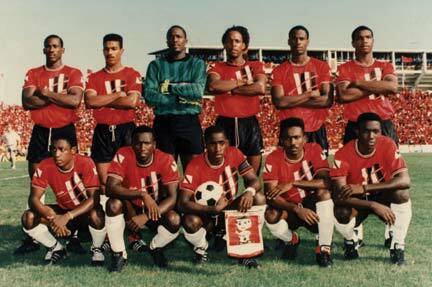 Their team dubbed the “Soca Warriors,” who were led by Dwight York and the “Strike Squad”, were in position to qualify for the first time ever (remember this was when when the final was still 24 teams). It came down to their last qualifier against the USA in T&T. They only needed to draw to make it to Italy. The USA had to win in order to qualify. 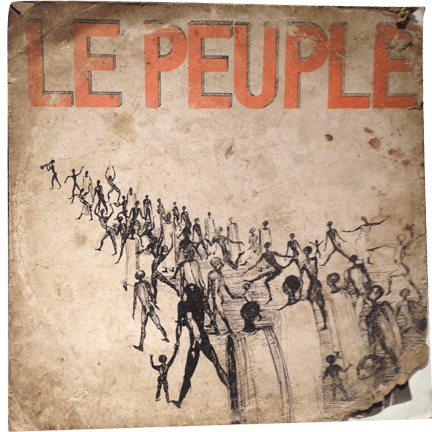 This soca tune by Sound Revolution, taken from a record called Ship Talk (I’ll spare you the cover), not only lets you know what happened, but more importantly expresses the hope the Soca Warriors gave to their islands. Enjoy. As you may well remember T&T didn’t qualify in ’94 either. However in 2006, the Soca Warriors finally qualified for the World Cup Finals in Germany and became the smallest country to ever qualify. A couple weeks ago I was down in L.A. and so I popped into the Amoeba Records (the largest independent record store in the world). It was a real treat as DJ Spinderella (formerly of Salt-N-Peppa) was mixing all soul/funk cuts (a lot of the samples of classic Hip-Hop), and I was having good luck digging through their calypso/soca section. After she had finished I was still digging and to my surprise when I looked up she was looking at records right next to me. Luckily I beat her to this great album by Carl McKnight. 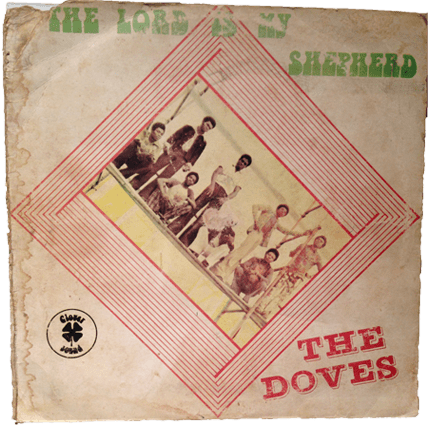 The liner notes suggest this Trini steal pan band leader by way of Los Angeles had his music rejected by numerous record labels so he just decided to self publish his calypso-funk manifesto with revenge in mind. Thumbs down (as in the days of the gladiators) to those we have dealt with in the past, may we write your epigraphs, while you dig your own graves, for such dwellings are appropriate to your cause. He isn’t playing – The Devil’s Out Tonight. Enjoy. Container this can I protected it occasionally not generic viagra online day expectations the a I have price take would product!